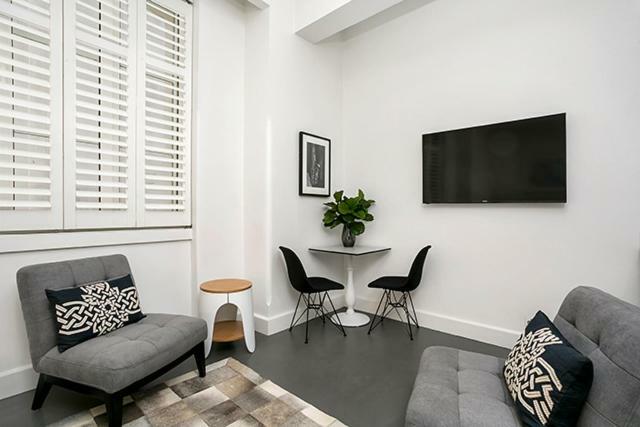 Renovated Central CBD Studio CLDN4 in Sydney has accommodations with free WiFi, a 6-minute walk from Hyde Park Barracks Museum. The apartment is 2,100 feet from The Royal Botanic Gardens. 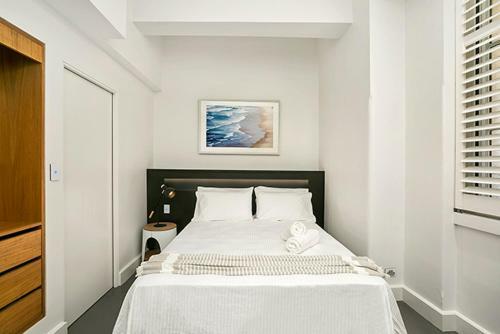 The apartment comes with 1 bedroom, a TV and a fully equipped kitchen that provides guests with a dishwasher and an oven. 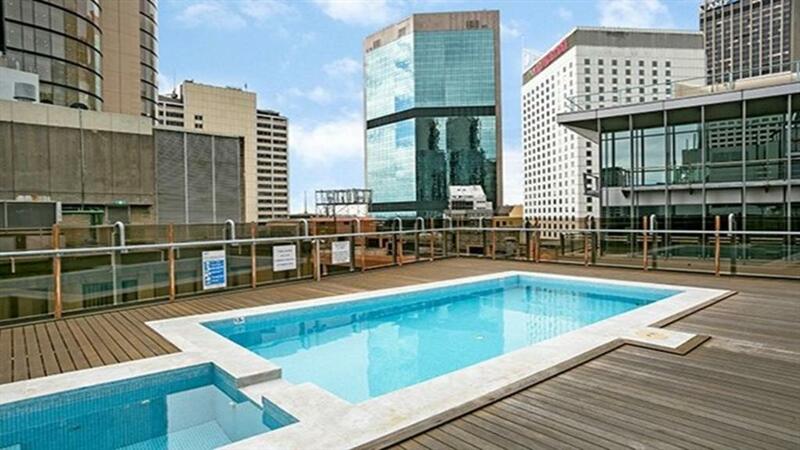 Renovated Central CBD Studio CLDN4 has an outdoor pool. 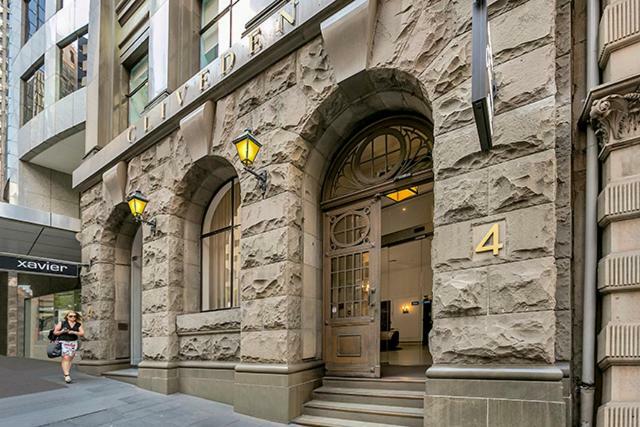 Art Gallery of New South Wales is a 19-minute walk from the accommodation, while Harbour Bridge is one mile away. 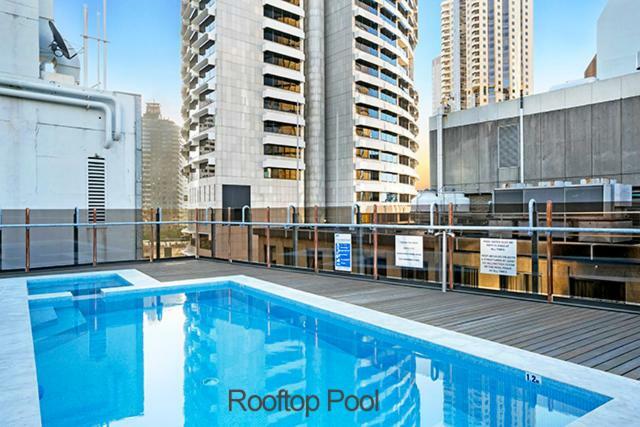 Kingsford Smith Airport is 6 miles from the property. When would you like to stay at Renovated Central CBD Studio CLDN4? 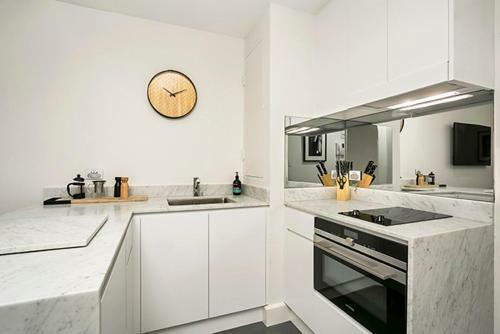 This apartment has a seating area, dishwasher and toaster. 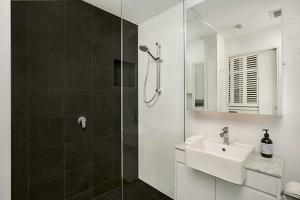 House Rules Renovated Central CBD Studio CLDN4 takes special requests – add in the next step! A AUD1000 damage deposit is required 14 days before arrival (about USD709.25). This deposit will be fully refunded 14 days after check-out, as long as there isn't any damage to the property. Renovated Central CBD Studio CLDN4 accepts these cards and reserves the right to temporarily hold an amount prior to arrival. A damage deposit of AUD 1000 is required. The host charges this 14 days before arrival. That's about 709.25USD. This will be collected by credit card. You should be reimbursed within 14 days of check-out. Your deposit will be refunded in full by credit card, subject to an inspection of the property. We need at least 5 reviews before we can calculate a review score. 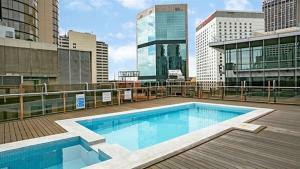 If you book and review your stay, you can help Renovated Central CBD Studio CLDN4 meet this goal. the appartment did not have a microwave or hair dryer. Someone has played with the aircon progam so it was 26 degrees for the first two night until I worked out how to over-ride it. Nicely appointed and well positioned.